The PLUS Pedal from Gamechanger Audio has generated a bit of discussion here at Gearnews.com. On the one side there’s a fair bit of “wow, that’s awesome”. 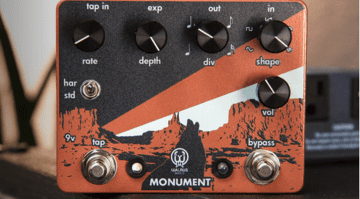 But on the other, there’s a good dose of “how on earth would that over-designed, hipster piece of junk fit on my pedal board?” So is it a revolutionary pedal for sustaining notes from any instrument, or the hold function off a sampler pedal remodelled for hipsters? Personally, I’m in the “awesome” camp. So what does it do? 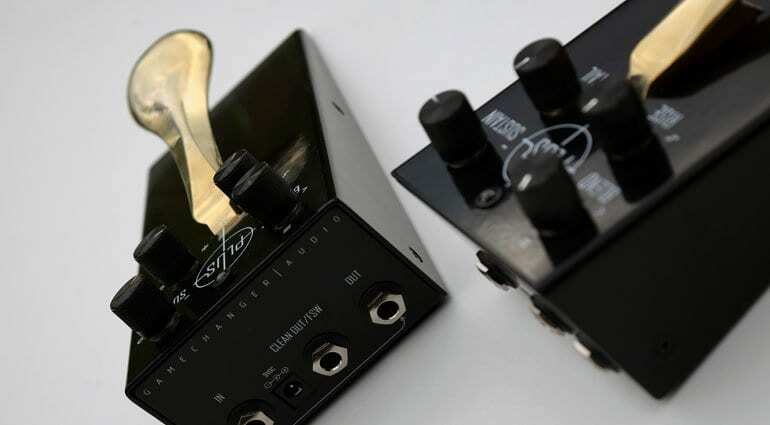 The PLUS Pedal is a sort of smart looper. It captures the end of a note or chord you play and winds it into a smoothly continuous loop. They call it “Real Time Audio Sampling” although I’m not sure what sampling isn’t done in real-time. The effect is of sustaining that note you just played, whether that’s from a cello, flute, voice, lute, whistle, microphone or any instrument you like. The most immediate use would be to capture and sustain a chord or note to create a drone over which you continue to play a bit of lead. That’s not a particularly new or innovative feature as guitarists have been doing this sort of things with sampler pedals for decades. What I find interesting is the focus on the sample/hold function. It’s like they’ve pulled it out of a complex sampler pedal, refined it and elegantly designed it into a tool that other musicians can understand and utilise. Let’s look at the controls. The Blend knob sets the wet/dry mix with an added feature of matching the volume to the previous note when set to 12 o’clock. Tail sets the amount of spill once you’ve removed your foot. Pushing the Tail to infinity will let you layer up 5-7 (not sure why there’s a limit) sounds to create thick drones and rich environments. Rise sets the wet signals fade-in speed and Sustain sets the decay rate while the pedal is pressed down. There’s a single mono input and two outputs. A Dry output always carries the dry signal. The main output carries the mixed dry/wet signal. 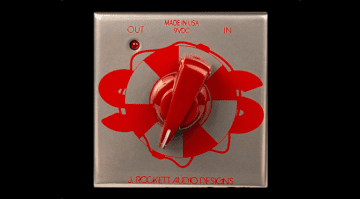 There’s also a toggle switch to change the main output from a mix mode to a “wet only” mode. On the side of the pedal is a handy effects loop. This allows you to add an external effect to either the wet or the dry signal. So, with it set to the dry signal you could sustain a clean chord and then add overdriven lead over the top. Lastly, there’s an option of a special Wet footswitch. This plugs into the Dry signal output and lets you switch in wet only mode. That could get very interesting and ethereal. As a bonus, it also has an output for the dry signal. It may well be just a hipster version of existing technology. That great big slab of brass pedal couldn’t be further from the usual rock ‘n’ roll guitarist aesthetic. But watching the example videos it becomes clear to me that Gamechanger have captured something creatively exciting. And, for me at least, the design pushes it out from the world of guitars into a wider range of musicians and instruments, which is an awesome thing. One thing’s for sure, Gamechanger Audio are far too hipster to give you a decent image of the pedal by itself. 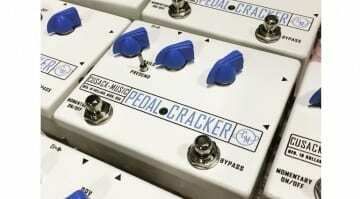 The PLUS Pedal is available for preorder for $279 and they hope to ship in September. Below is my favourite video example but there are plenty more on the PLUS Pedal website.